Ever since I reviewed the Una Brennan Rose Hydrate Mask (£9.99), I've been interested in comparing it to the Origins Drink Up Intensive Overnight Mask (£23). Both have a similar premise, but very different price points. I think the main difference is that the Una Brennan mask is designed to be left on for about five minutes. It's noticeable on the skin so you can't really pop it on during the day when you're out and about. I know the idea of leaving it on sounds strange, but one of the main reasons I love the Origins mask is that it's invisible on the skin so if I need to wear it during the day when I'm not wearing makeup, I can. The Origins mask is also ideal for long flights and the skincare woes cabin air brings! 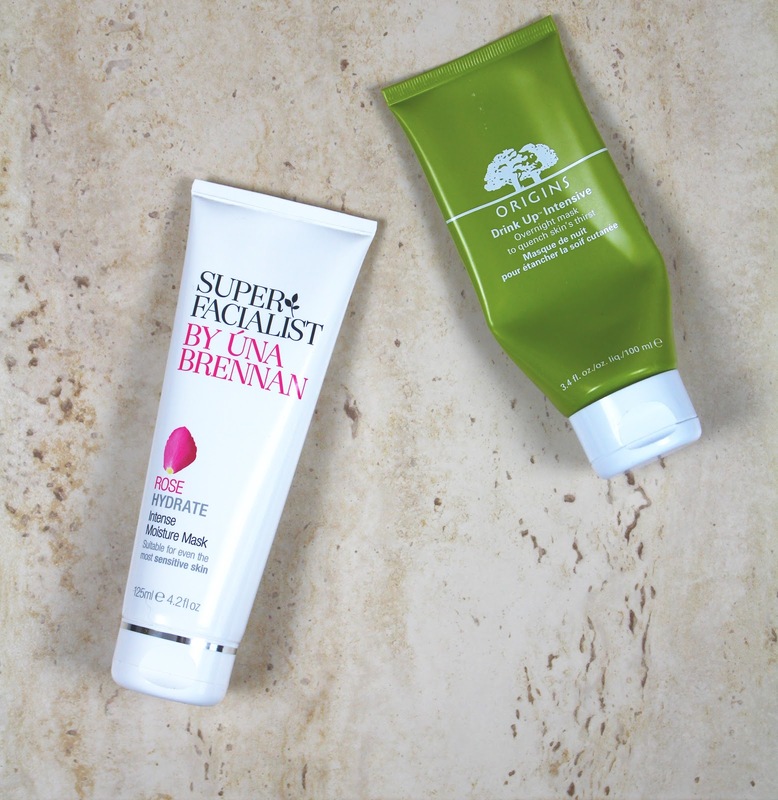 Both masks are very good at hydrating the skin. I'd say that the Origins mask is just a tad better. Since you leave it on overnight, it has more of a chance to really penetrate the skin. That being the said, the Una Brennan Rose mask does such a good job at offering a quick dose of intense hydration. It doesn't over hydrate the skin so that your left with a residue either. Instead, you're left with a really soft and smooth base. I think I'd recommend the Una Brennan Rose Hydrate mask if you've got combination skin and the Origins Overnight Mask if you've got dry dehydrated skin. I do really like both but if I had to choose, I'd pick the Origins mask. With my dehydrated skin, I find it just that bit better at giving me the hydration I need.